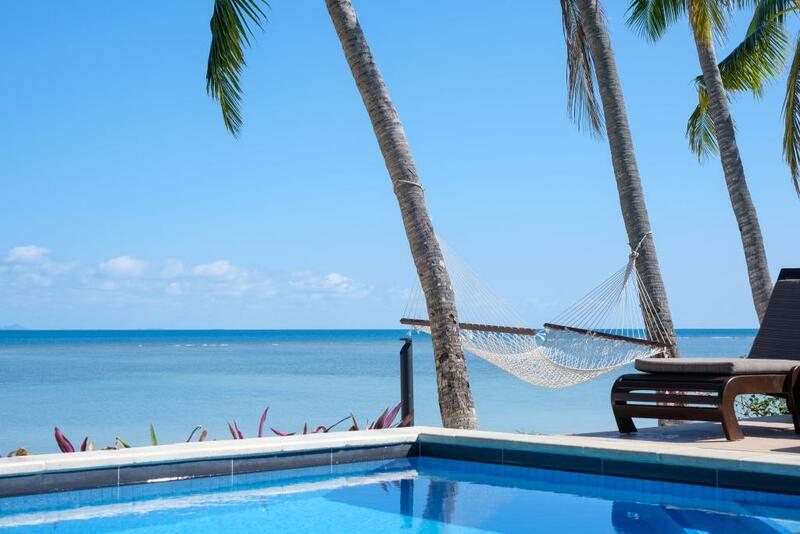 First Landing Beach Resort and Villas (Nalamu Villas) is situated on the only white sand beach in the Nadi area and set amongst landscaped tropical gardens. 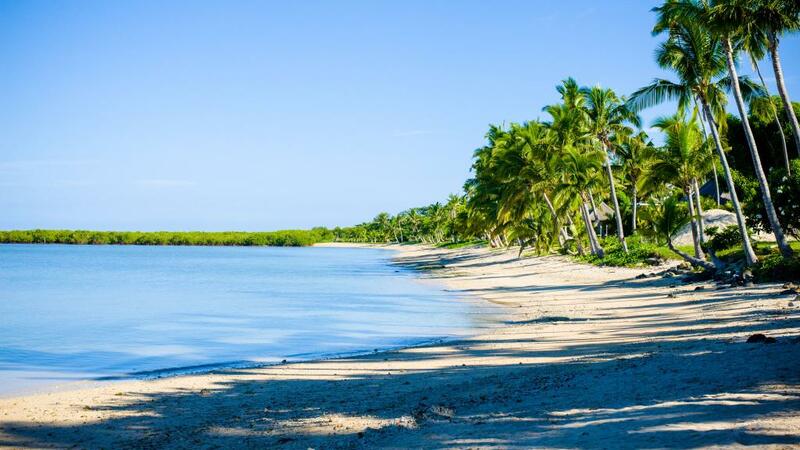 This small beachfront Fiji resort is only 10 minutes from Lautoka and 20 minutes from Nadi International Airport, making First Landing Resort an ideal base to explore nearby islands, the hinterland and the Coral Coast. 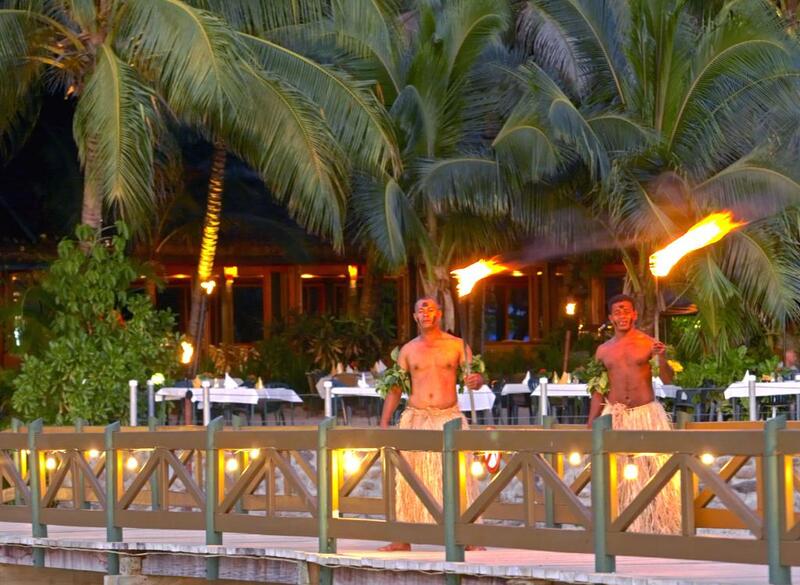 According to local legend, the first Fijians arrived around 1500 BC, landing on the beach at First Landing Resort. 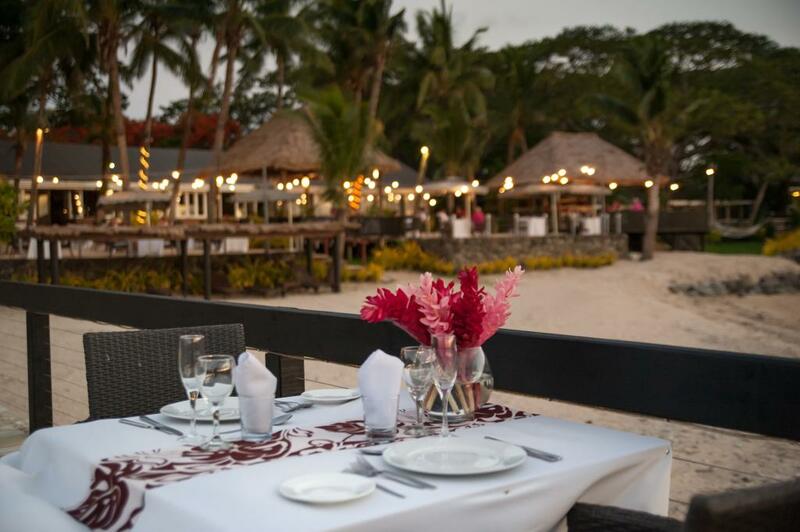 The small, owner-operated resort featuring a popular beachside restaurant, provides personal attention to all guests and genuine Fijian hospitality. 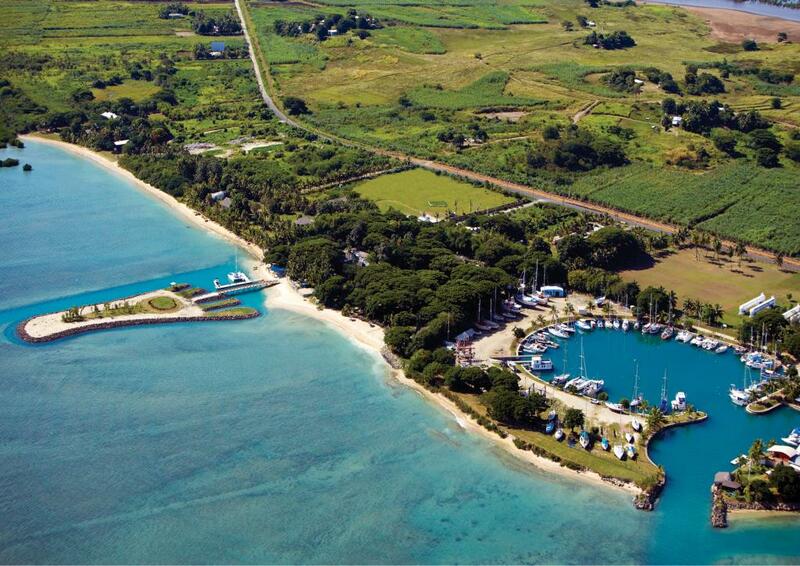 The nearby islands are easily accessible from Vuda Marina which is located in front of the resort. 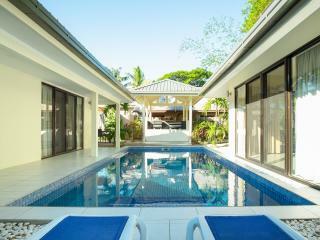 First Landing Resort offers a range of Fiji accommodation from Garden Villas to Private Beachfront Spa Bures, offering spectacular views across to the nearby islands and the Pacific Ocean. The beach faces due west, giving breathtaking sunsets across to the islands. 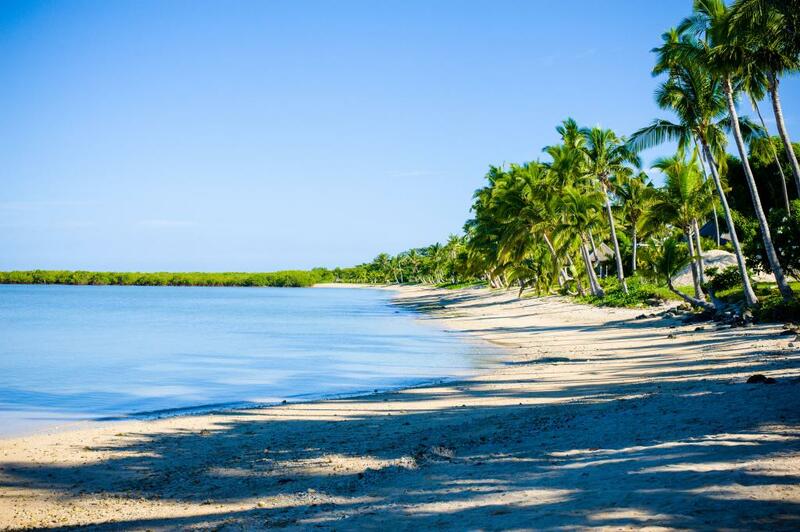 This beachfront resort is perfect for families and couples, making First Landing Resort ideal for your next Fiji holiday. First Landing Resort consists of 33 spacious bures all proudly without a TV. 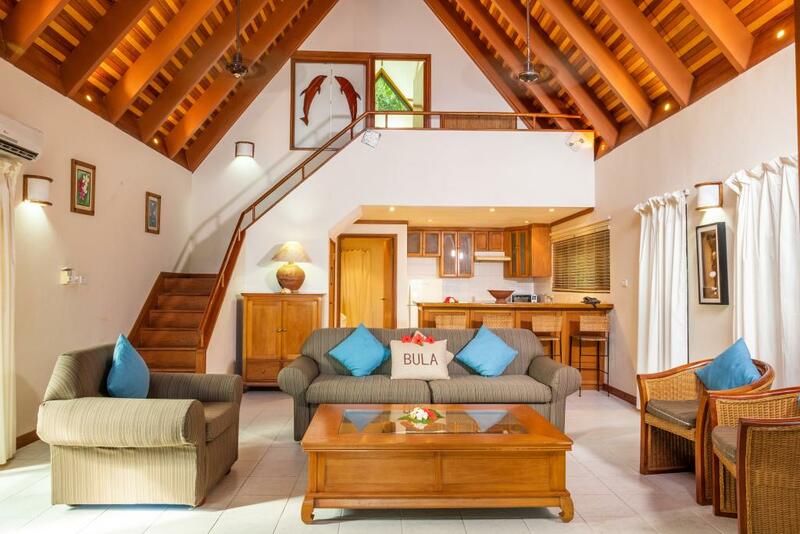 Nalamu Villas, located directly next to First Landing and offers full use of the resort facilities consists of 1 magnificent beachfront villa and 3 tropical garden villas. 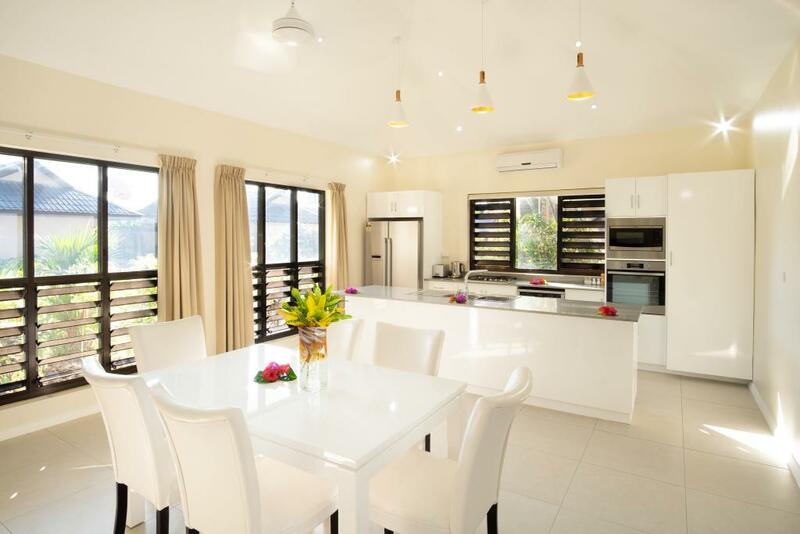 Garden Bure: Duplex configuration, these bures are built of solid timber with a thatched roof, polished timber floors, high ceilings, modern furnishings and a private screened veranda. Some bures interconnect through the veranda (on request). Bedding is 1 King Bed + Sofa Day Bed which has 1 Queen or 2 Singles configuration. Maximum room capacity is 4 Adults & Children. Deluxe Garden Bure: Featuring a separate lounge and fully equipped kitchen, these bures also feature a separate bedroom. Bedding is 1 King Bed + Sofa Day Bed which has 1 Queen or 2 Singles configuration. Maximum room capacity is 4 Adults & Children. Garden Bure Deluxe has wheelchair facilities. Beachfront Spa Bure: Similar configuration and features as the Garden Bure, however these bures also feature a double spa in the bathroom with a 'secret window' to access ocean views. Bedding is 1 King Bed + Sofa Day Bed which has 1 Queen or 2 Singles configuration. Maximum room capacity is 4 Adults & Children. 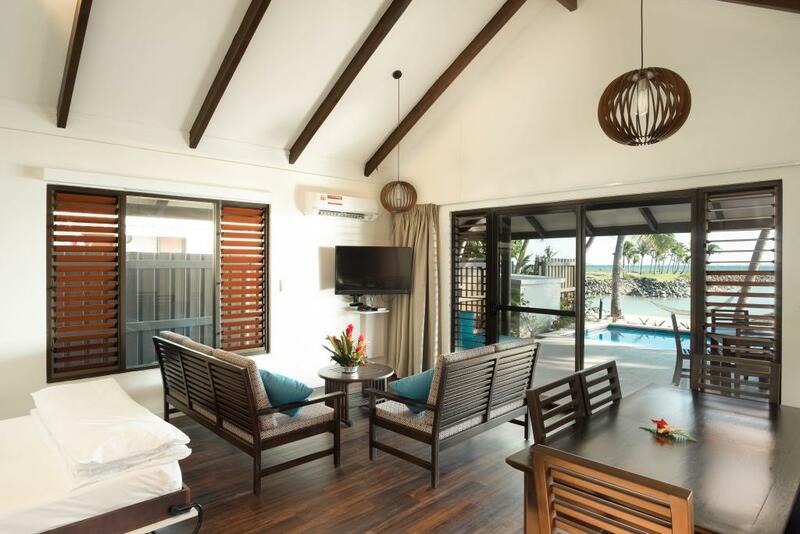 Tropical Studio Apartment: Located on the ground floor and features a large bedroom/lounge area and a screened in verandah. Large bathroom with bathtub and separate shower. Bedding is 1 King Bed and 2 Single Beds OR 4 Single Beds. Maximum room capacity is 4 Adults & Children. 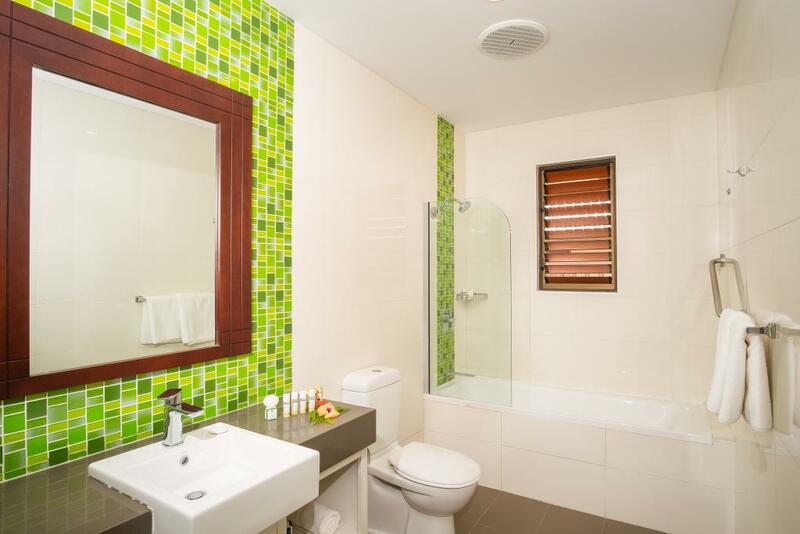 Tropical 1 Bedroom Apartment: Located on the ground floor with a large bedroom with private bathroom and separate lounge area with full kitchen. The bathroom has a bathtub and separate shower. Bedding is 1 King Bed and 2 Single Beds. Maximum room capacity is 4 Adults & Children. 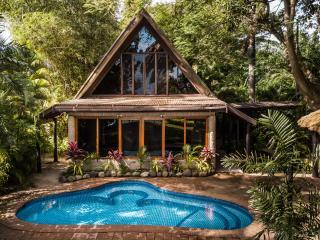 Tropical 3 Bedroom Apartment: Located on the first floor. Two bedrooms have their own bathrooms with shower and bathtub whilst the third bedroom uses the common toilet and shower off the lounge area. 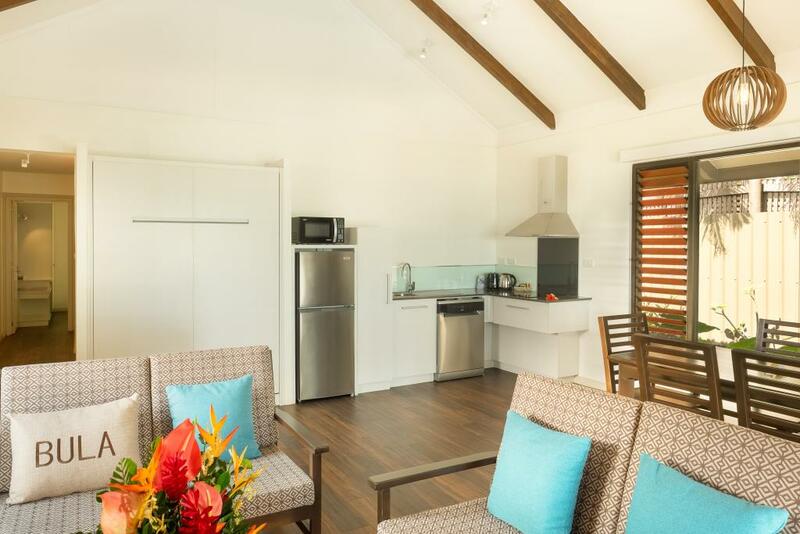 Full kitchen and laundry facilities and a spacious verandah. Bedding is 2 King Beds + 2 Single Beds. Maximum room capacity is 6 Adults & Children. 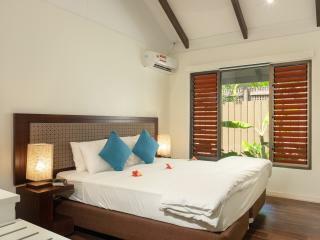 1 Bedroom Garden Villa: These villas have a bedroom, bathroom, kitchenette and living area on the ground floor. Each villa has its own private tropical garden courtyard with a swimming pool, outdoor shower and patio. Bedding is 1 King Bed and 2 Singles OR 2 King Beds. Maximum room capacity is 4 Adults and Children. 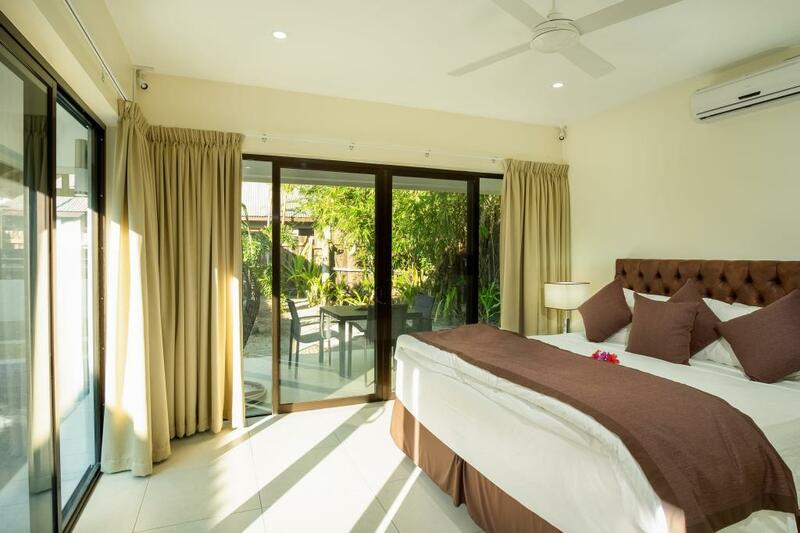 2 Bedroom Garden Villa: Each bedroom is on the ground floor and features a private bathroom and outdoor shower. The master bedroom features a spa bath. Each villa has its own private tropical garden courtyard with a swimming pool and spa, BBQ and patio. 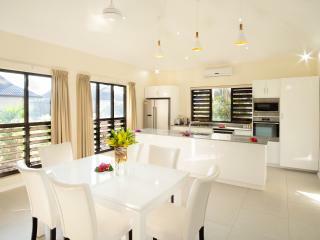 The full kitchen, living and dining rooms have high ceilings with tropical timbers. Bedding is 1 King Bed and 2 Singles OR 2 King Beds + Single Beds as required. Maximum room capacity is 6 Adults and Children. 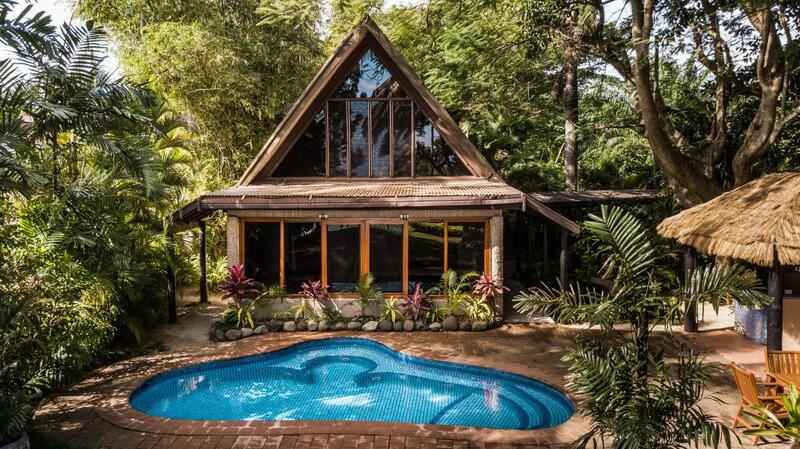 3 Bedroom Garden Villa: This villa is great for families and small groups. 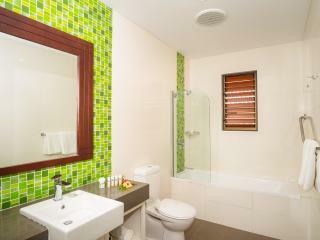 The three bedrooms are located on the ground floor and each bedroom has its own bathroom. 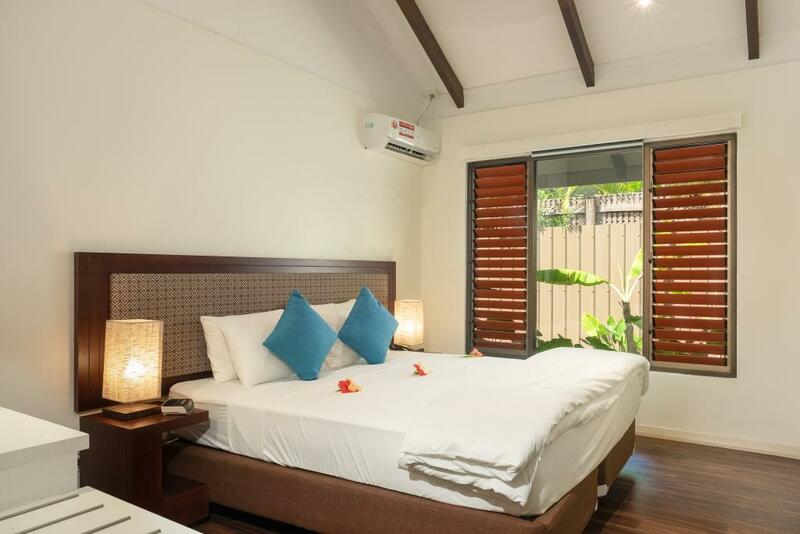 The villa has its own private tropical garden courtyard with a swimming pool located in the middle of the villa and all rooms overlook the pool, a patio and large verandah for exclusive use of Villa guests. The kitchen has fridge, microwave, and electric cook top, all cooking and serving utensils, washer/dryer. 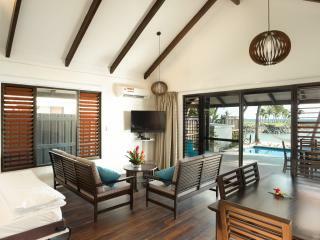 The living and dining room has high ceilings, furnished with lounge suite, colour TV with paid TV channels. All rooms are air conditioned and have ceiling fans. Bedding is 1 King Bed and 2 Singles OR 2 King Beds + Single Beds as required. Maximum room capacity is 6 Adults and Children. 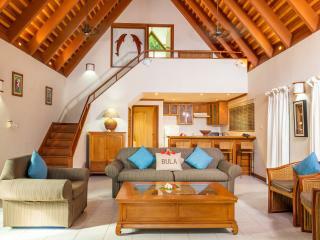 2 Bedroom Beach Villa: These villas have 2 bedrooms and 2 bathrooms on the ground floor. They feature a private deck opening up to the beach and swimming pool. The master bedroom has an ensuite with indoor/outdoor showers. The second bedroom also has ensuite bathroom with a bath. 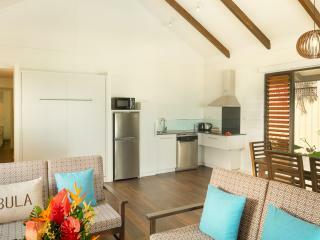 The villa has a kitchen, dining veranda and a living room which features high ceilings lined with the tropical timbers of Fiji. All rooms are air conditioned and have ceiling fans. Bedding is 1 King Bed and 2 Singles OR 2 King Beds + Single Beds as required. Maximum room capacity is 6 Adults & Children. 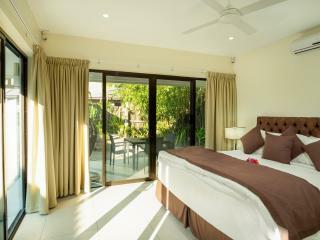 2 Bedroom Royal Beach Villa: The master bedroom upstairs has an ensuite with double spa and ocean views. The second bedroom is on the ground floor and features an ensuite bathroom with outdoor shower. 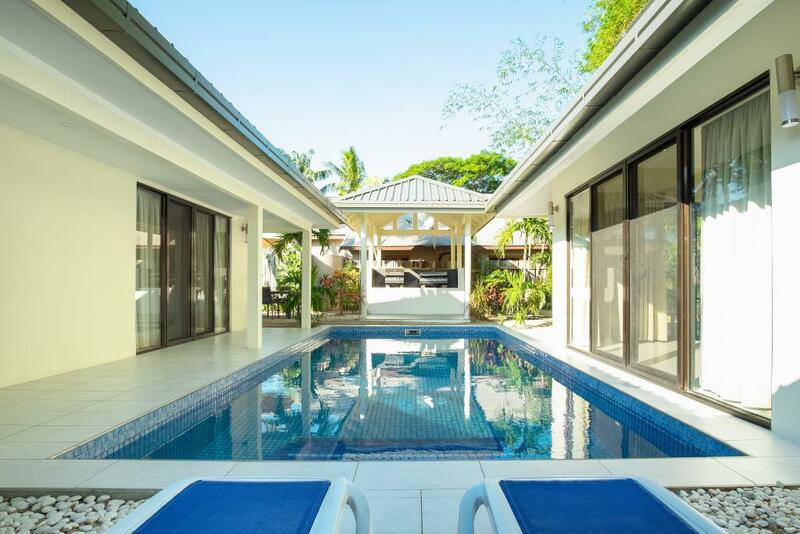 This villa has a private yard opening up to the beach, outdoor swimming pool with spa, and a BBQ with deck. Bedding is 1 King Bed and 2 Singles OR 2 King Beds + Single Beds as required. Maximum room capacity is 6 Adults and Children. First Landing has one of the South Pacific's best restaurants, winning Gold and Silver medals at the annual Chefs Competition. 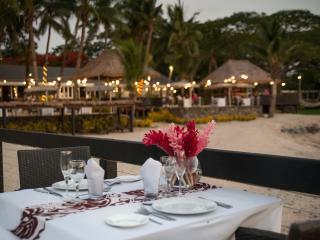 Enjoy great food, the friendliest staff and a fantastic ambience with a unique beachfront setting. 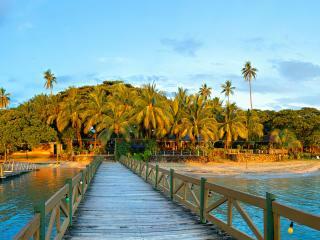 Timber decks and coral platforms are set amidst swaying palms, overlooking the ocean and gardens. The award-winning chefs aim to create local and international dishes to suit any palate. The extensive menu features fresh lobster and seafood as well as great steaks and exotic local dishes, using an array of fresh, local produce. The Pizzas are cooked in a truly unique South Pacific wood oven. 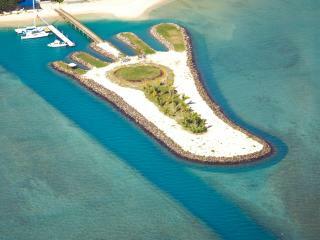 Big Foot Char Grill: Enjoy mouthwatering seafood, wood-fired pizza and hearty meals cooked with fresh, local produce. Nalamu & Domoni Sunset Bars: Make sure you try the famous 'Cocktail in Paradise' from one of these amazing sunset locations. Australian and New Zealand wines, local and imported beers are also available. Coffee Spot: The daily coffee spot at Nalamu Bar is where you can enjoy a range of coffee, tea, milkshakes, smoothies along with freshly baked cakes, muffins and pastries, sandwiches and wraps. 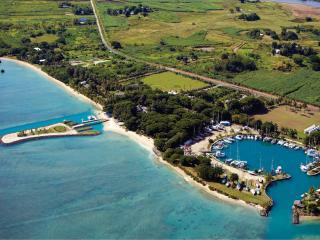 At First Landing you can dive off beautiful coral reefs and nearby wrecks. 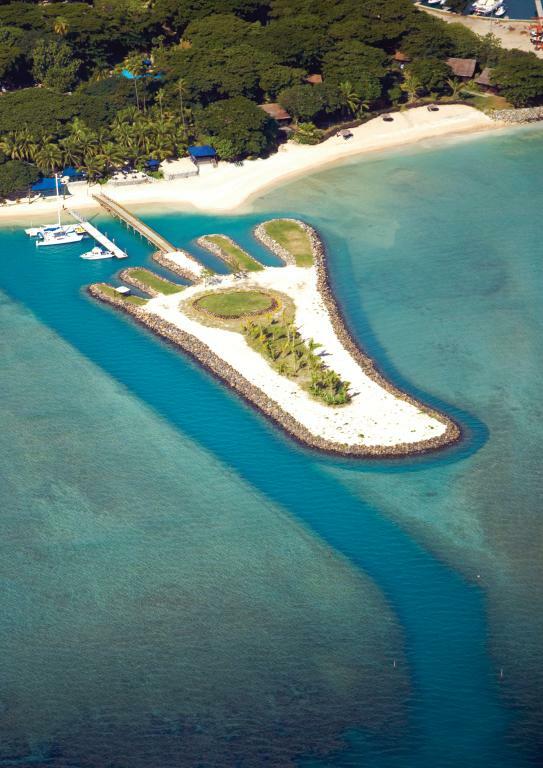 First Landing proud to be associated with one of Fiji's largest and most established PADI dive operations Subsurface. Subsurface provides a range of diving options and certification. Dream On Day Spa: Spoil yourself with a relaxing massage or spa treatment for the face, body, hands and feet. 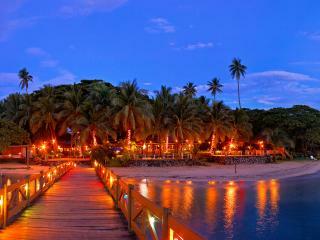 Beautiful First Landing Resort is an idyllic venue for your wedding. 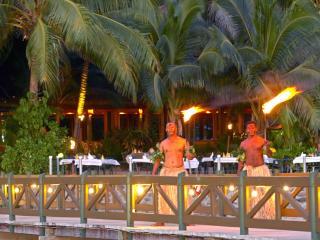 Set amongst tropical gardens along a beautiful private beach your wedding will be truly memorable. Children: Up to 2 children 16 years and under stay free of charge in existing bedding. 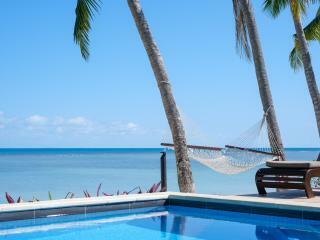 Amazing Fiji Getaway: Save Over 25%!